Most of us know of Pleasonton’s role as administrator of the U.S. Lighthouse Establishment from 1820 to 1852. Here is a piece that describes his role in saving important documents during the War of 1812. See Prologue: Pieces of History » The burning of Washington. The National Lighthouse Museum will open in the old General Lighthouse Depot, Staten Island, on August 7, 2014, the 225th anniversary of George Washington signing the act that created the U.S. Lighthouse Establishment in 1789. A full weekend of events is planned as part of the celebration. A lampist at work in the depot’s lamp shop. 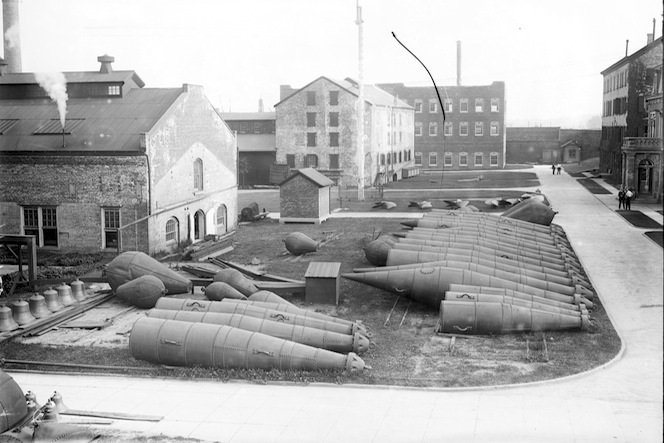 All Fresnel lenses were shipped through the depot. 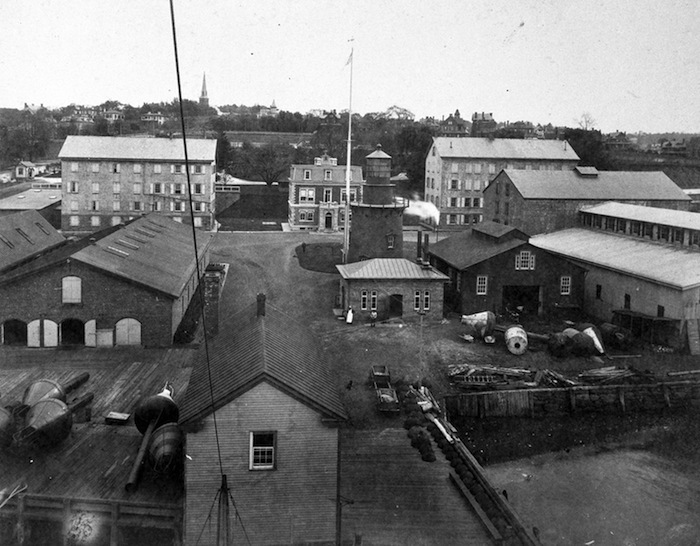 Most testing and repairs of lighthouse equipment took place at the depot. 1930 photograph courtesy of U.S. Coast Guard. The museum will initially open an Education Resource Center in Building # 11. According to their press release, the museum’s goal is “to promote and support historical, educational, cultural, recreational and related activities at the site, while maintaining the navigational significance and maritime heritage of lighthouses throughout the world.” Visit their website for more information. 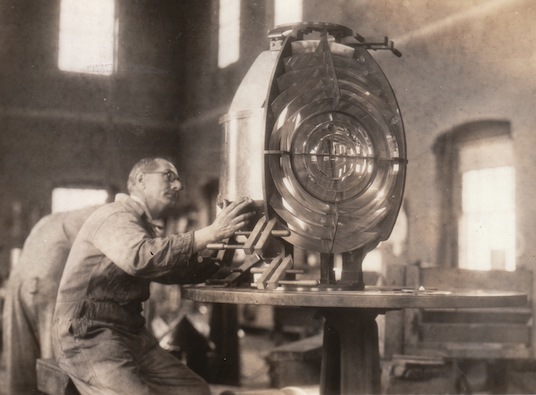 This entry was posted in Fresnel Lenses, Historic images, Lighthouse administration and tagged National Lighthouse Museum on August 6, 2014 by lighthousehistory.